FUV is proud to partner with the Madison Square Park Conservancy and the 2012 season of Mad. Sq. Music! 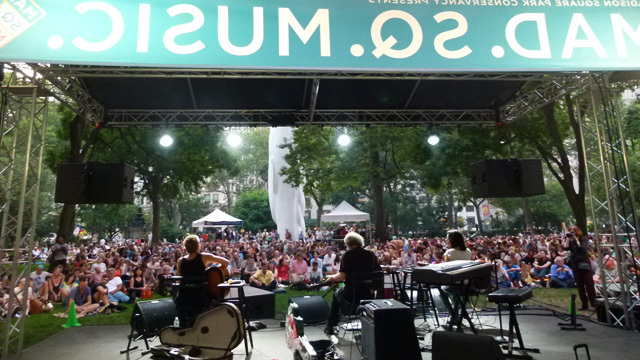 Enjoy free weekly concerts on the oval lawn in Madison Square Park. This year's season continues July 18 with Jeff "Tain" Watts Quartet. Other shows this summer include Suzzy and Maggie Roche on August 1, and Betty LaVette on August 8. Check out a full line-up here.